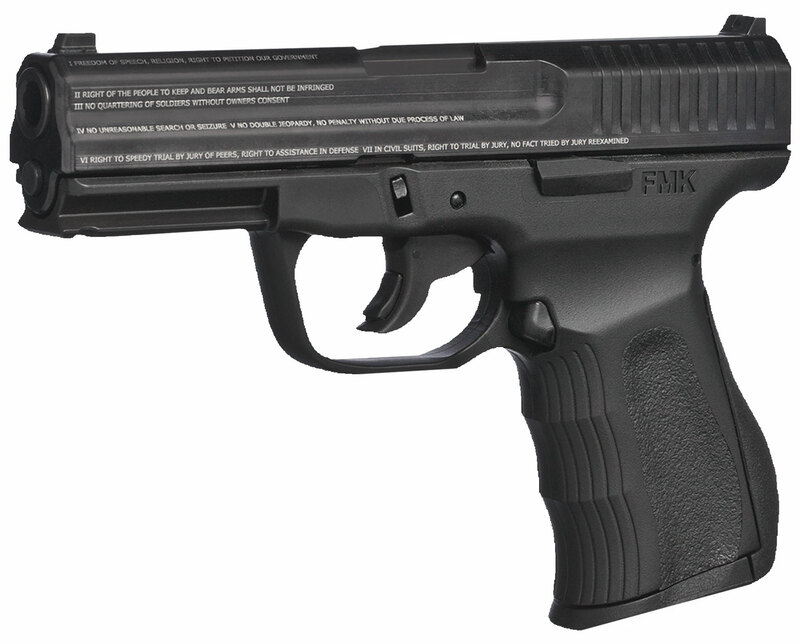 The 9C1 Generation 2 9mm compact pistol is ergonomically built to comfortably fit both large and small hands. The barrel is engineered to sit low for superior point and shoot accuracy and reduce muzzle flip. With its smooth DAO trigger, the 9C1 Gen 2 has virtually no external protrusions making it ideal for concealed carry. Each FMK Firearms 9C1 pistol is engraved with the Bill of Rights to remind Americans about our inalienable rights, and pay tribute to those great leaders who have fought for our freedoms, while some ignoble ones have endeavored to undermine them.